We are making many exciting preparations for the 2019 REAIE Biennial Conference Landscapes of Transformation and we are seeking expressions of interest from centres, schools and organisations who might like to host an educational experience that will be an optional extra on our pre-conference day. The pre-conference experiences for delegates will take place on Thursday 11th July 2019. Feedback from previous conferences informs us that the REAIE conference delegates enjoy the opportunity to immerse themselves in the local landscape of educational possibilities as well as being provoked by practitioners discussing aspects of their context. 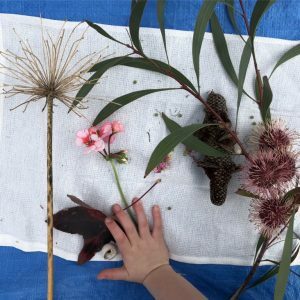 Whilst it is desirable to have centres and schools on these tours that have been inspired by the principles of the educational project of Reggio Emilia, Italy, we would also like to open the invitation to other centres, schools and organisations who may provide some other interesting provocations with regard to their environment. We invite you to consider hosting an educational experience. If you are interested in being part of this wonderfully rich and exciting pre-conference day, please complete the expression of interest form below. Please note that the final decision regarding the selection of experiences available for the pre-conference day will rest with the National Conference Project Group after the expressions of interest have been received. Please write 100-150 words about what you would like to celebrate with colleagues who will be visiting, aspects of your work around which you are most proud and wish to showcase.